Task 2 Chemical tests to identify some of the carbohydrates produced by plants. Carbohydrates (sugars and starch) can be detected by the use of an indicator, which is a chemical that produces a characteristic colour when a particular substance is present. The positive test for glucose is that it turns "brick red when heated with Benedict's Solution. 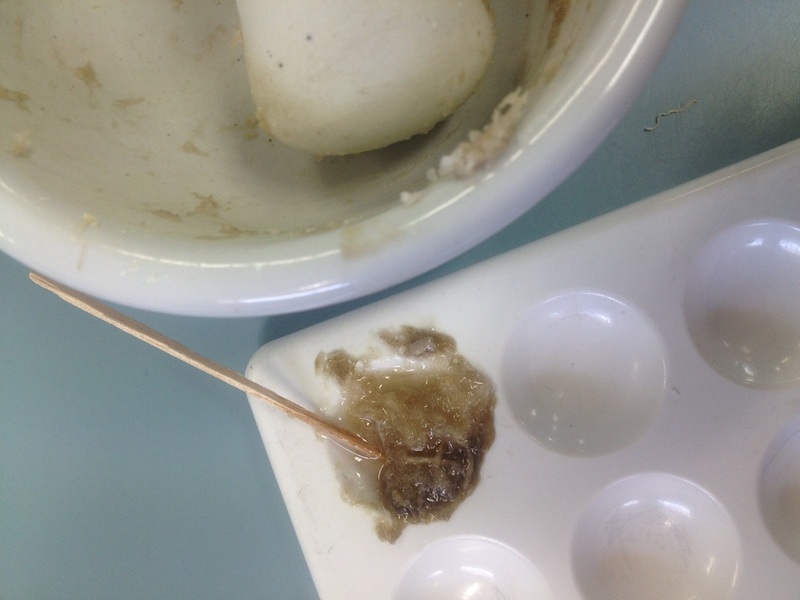 The positive test for starch is that it turns black when Iodine Solution is added. Aim: To test the green leaves of the spring onion for glucose and the white stem bases and roots for starch. 1. In a mortar and pestle grind the green leaf of the spring onion. Scrape the paste into a test tube. Add two droppers full of Benedict's Solution. 2. 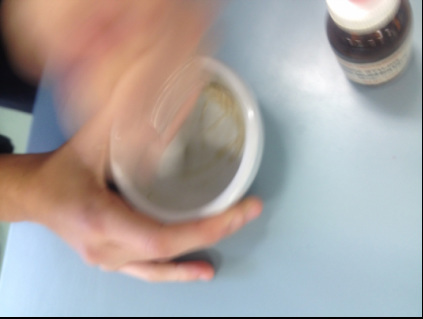 In a mortar and pestle grind the white parts of the spring onion. Scrape the paste into a test tube. Add a few drops of Iodine Solution. Results: Record the colour changes in a suitable fashion. Conclusion: Discuss the results in terms of glucose and starch. Top row Right to Left: roots, crushed roots, yellow iodine solution, blackish iodine and crushed roots, indicating starch. 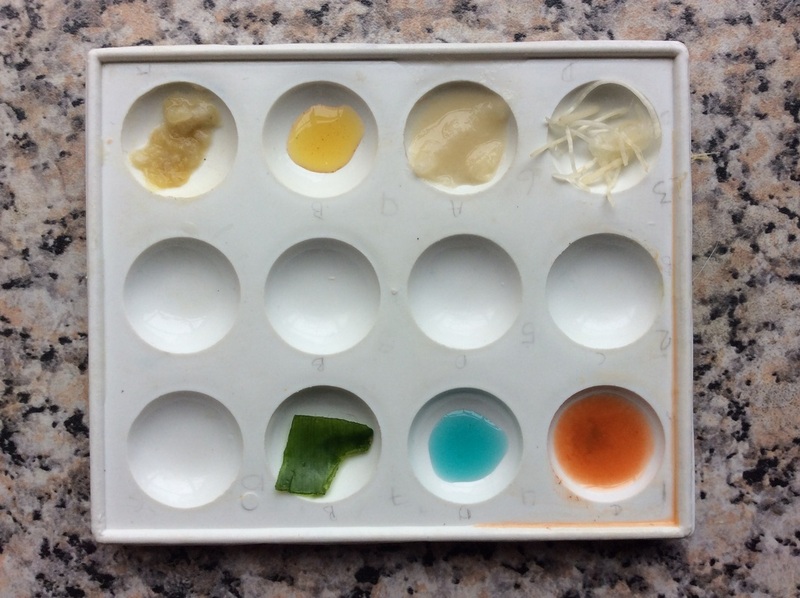 Top row Left to Right: green leaves, blue Benedict's solution, brick-red Benedict's solution and crushed leaves , indicating glucose. Thank you for the image MH.